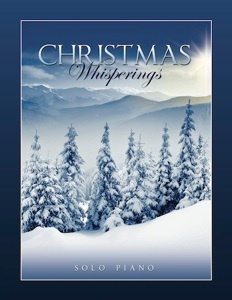 Christmas Whisperings 2 is the companion songbook to the 2015 solo piano album by the same name. 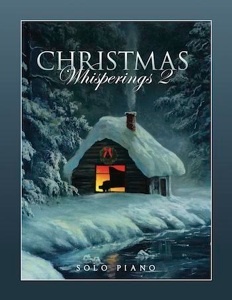 Both feature fifteen Christmas songs arranged by fifteen different artists from the Whisperings Solo Piano Radio group. The sheet music was transcribed to match the recordings as closely as possible and all of the pieces are a delight to play. They range from fairly easy to moderately advanced, but none of the arrangements are terribly difficult to play. The book is spiral-bound and the music is printed on a medium-weight paper to assure a long life even with heavy use. The paper stock is a bright white and the notation is crisp, clear, and well-spaced. The layout is consistent throughout the book, even with such a variety of artists, and all of the songs are very easy to read. There is a really nice selection of songs included that range from sacred to secular. My favorites to play are “God Rest Ye Merry Gentlemen,” “Coventry Carol,” “Sing We Now of Christmas,” and Gary Girouard’s stunning arrangement of “Ave Maria.” However, I really like all of the arrangements! This is an excellent collection that will be a favorite for many years to come. 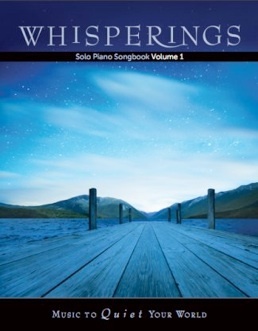 It is available from SoloPianoChristmas.com. Very highly recommended!